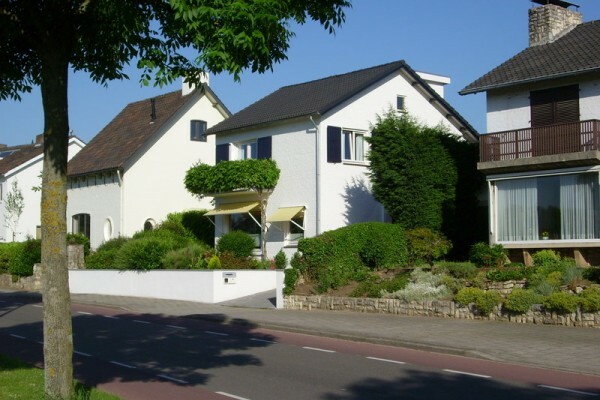 Bed & breakfast in Maastricht - Bed&Breakfast "Ellen"
Home > B&B The Netherlands > B&B Limburg (NL) > B&B Maastricht > Bed&Breakfast "Ellen"
B&B "Ellen" Maastricht is situated within a 10-minutes-walk to the centre. Parking is convenient in this area. If you are coming by train you can take bus 3 direction "Wolder". It is a direct connection and stops at the "Bieslanderweg". You have to get out next to a large building called "St. Gerlachus". Our house is lying 30 meters further.The rooms are new with own bathroom and television and free Wifi. There is an individual entrance for the rooms, so you will have fully privacy. In the room you can make your own coffee and tea and there is a packed gingerbread and croissant to eat. We have two double rooms with own bathroom and own entrance so you will have fully privacy. During the week a double room costs 47 euro excl. 1,50 touristtax p.p.p.n. (2014). During weekends and special events a double room costs 57 euro excl. touristtax. No experiences yet with Bed&Breakfast "Ellen". Be the first! Did you stay in Bed&Breakfast "Ellen"? Let us know what you thought about it and help others to make the right choice! * I confirm having stayed in Bed&Breakfast "Ellen".